As summer winds down professionals gear up for the fall trade show rush. Trendease is here to energize, enlighten, and inspire you with the most up to the minute reports on the must-know design shifts. 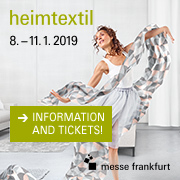 Indulge in an exclusive Heimtextil 2008/09 trend preview including descriptions and collages of the trends, color uses, fabrics and materials for future seasons. See what’s hot from the latest talent entering the field, and the growing attention given to eco-chic products. Learn how personal shopping can educate fair attendees and experience the best of Tendence Lifestyle and forward-thinking trends from Intertextile Shanghai which could impress any Westerner. View how Germans and Austrians, as well as the Las Vegas Market are paving the way to the future. All this and much, much more! Trendease covers 100+ design events a year, currently 23,000+ innovative product images with 800+ reports keep 80+ countries in the know! While we work diligently to enhance the new version of Trendease.com current and new subscribers will receive the new digital scrapbook to store all of their favorite images for free! Las Vegas — This issue has a diverse span of coverage from the United States to Europe to Asia. There is something for everyone within the “pages” of Trendease.com. It is with pleasure that Trendease shares an exclusive sneak preview of the Heimtextil 2008/09 trends over four months before they are to be presented to the general design public in addition to the latest in color, finishing, product design, merchandising, and other inspiration found within Trendease this month. Frankfurt — Enjoy this exclusive sneak peak for home fashion trends that will be presented at the upcoming Heimtextil by the newly formed international trendtable January 9-12, 2008. Be the first to see the textile trends sought after by all corners of the globe. This cutting-edge preview includes descriptions and collages of the trends, inspirations, color uses, fabrics and materials for future seasons. Be in the know now and gain a competitive advantage by reviewing what's to come. Bangkok — Dream Bangkok is Asia’s new fashion hotel in the center of Sukhumvit, Bangkok’s fashion, entertainment and business district. It was created by the visionary and father of the Dream-Concept, Vikram Chatwal. With Chatwal’s vision, a blend of Asian funkiness and Western design, the hotel offers a real 5-star “Hautel Couture” experience that takes one on a surrealistic journey through a fantasy dream world. Multiple Austrian Cities — PureAustrianDesign is a phenomenal collective that introduces and promotes Austrian design and designers. More than 150 companies, designers, and labels are represented in this comprehensive overview. A blend of generations ensures that new talents are introduced to established manufacturers. Austria has a lot to offer as far as creativity is concerned; the future will confirm it for sure! Frankfurt — Hollywood celebrities have long realized the benefit of having a personal shopper who scours the market to discover products that suit the client best to reinforce personal style in today’s jungle of brands and no-name products. Tendence Lifestyle has introduced the “Personal Shopper” concept to revolve around the theme of today’s consumers, their needs and wants blended with market trends. 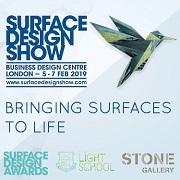 Frankfurt — Two international design studios were invited to design spaces for the Tendence Lifestyle show, their decorating selection limited to products which were on exhibit at the fair. The displays represent a guide for the attendees and at the same time they are an ideal staging for innovative ideas of how to transform somewhat abstract trends into ‘real’ lifestyles. Shanghai — The Spring/Summer 2008 trend forum at Intertextile Shanghai was organized by the China Home Textile Association in collaboration with its trend department, WHY Design, and the Department of Textile & Fashion Design of the China Academy of Art. Within the forum five themes were presented. Here within subscribers may explore the energy of the After Olympics forecasted trend. Shanghai — The Spring/Summer 2008 trend forum at Intertextile Shanghai was organized by the China Home Textile Association in collaboration with its trend department, WHY Design, and the Department of Textile & Fashion Design of the China Academy of Art. Within the forum five themes were presented. Here within subscribers may explore the artificial heaven of the Casual City trend. Shanghai — The Spring/Summer 2008 trend forum at Intertextile Shanghai was organized by the China Home Textile Association in collaboration with its trend department, WHY Design, and the Department of Textile & Fashion Design of the China Academy of Art. Within the forum five themes were presented. Here within subscribers may explore the contradictory richness of the Class Mimic trend. Shanghai — The Spring/Summer 2008 trend forum at Intertextile Shanghai was organized by the China Home Textile Association in collaboration with its trend department, WHY Design, and the Department of Textile & Fashion Design of the China Academy of Art. Within the forum five themes were presented. Here within subscribers may explore the ecstatic pleasures of the Cool Happiness trend. Shanghai — The Spring/Summer 2008 trend forum at Intertextile Shanghai was organized by the China Home Textile Association in collaboration with its trend department, WHY Design, and the Department of Textile & Fashion Design of the China Academy of Art. Within the forum five themes were presented. Here within subscribers may experience an urban oasis in the New Tai Chi trend. Frankfurt — This year was the second time the Junior Design Award was given out by Troika. Troika is a manufacturer for gifts that advertises “designed in Germany” and created the award for students from the design academies in Hanover, Karlsruhe and Niederrhein. The conditions for the award were that all the products had to fit into Troika’s company portfolio and needed to be produced for costs up to 20 euros a piece. Frankfurt — One of the most phenomenal displays at this year’s Tendence Lifestyle was the Micro-Architecture concept by students of the Kassel School of Art and Design. For this year’s fair, students had created seven unique micro-architectural concepts consisting of spaces and environments to offer the visitors a hide-out from the traffic of the fair. The designs allowed anyone to stretch out their body and mind in a world of other dimensions. Frankfurt — Simple Light is a project by the Academy for Design Karlsruhe, and is lead by initiator and supervisor, Professor Hansjerg Maier-Aichen. Participants of the project have conducted research into basic lighting and prepared simple design solutions ranging from plain candles to innovative, high-tech illuminants. All the pieces envisioned by the students are incredibly innovative and creative both in concept and in execution. Multiple US Cities — When someone mentions Las Vegas, green is not normally the first word that springs to mind. The epitome of everything metropolitan was looking decidedly, well, green this August as the inaugural Living Green Pavilion was at the forefront of the Las Vegas Market. The Pavilion showcased environmentally conscious manufacturers displaying new products and practices. In this feature learn about the movers and shakers as well as how to become one. Worldwide — Cotton Incorporated has shared its textile and color forecasts researched for home and apparel Spring / Summer 2009. Readers are welcome to review the colors and descriptions along with textile directions and buzz phrases surrounding the Intuitive Wisdom trend. This color story is complemented with the closest available Pantone color references. Worldwide — Cotton Incorporated has shared its textile and color forecasts researched for home and apparel Spring / Summer 2009. Readers are welcome to review the colors and descriptions along with textile directions and buzz phrases surrounding the Tunnel Wisdom trend. This color story is complemented with the closest available Pantone color references. Worldwide — Cotton Incorporated has shared its textile and color forecasts researched for home and apparel Spring / Summer 2009. Readers are welcome to review the colors and descriptions along with textile directions and buzz phrases surrounding the Synectics trend. This color story is complemented with the closest available Pantone color references. Worldwide — Cotton Incorporated has shared its textile and color forecasts researched for home and apparel Spring / Summer 2009. Readers are welcome to review the colors and descriptions along with textile directions and buzz phrases surrounding the Blurred Existence trend. This color story is complemented with the closest available Pantone color references. Multiple European Cities — This gallery of images will certainly keep subscribers ahead of the pack. 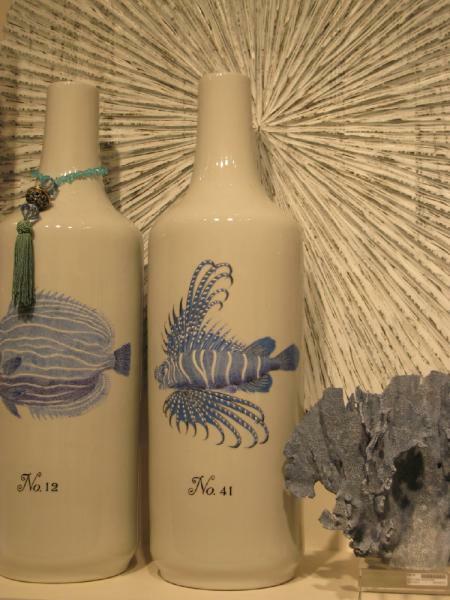 Evolving at a rate closer to a fad than a trend, this design movement is making its way from the high-end collectors to the kitsch masses at a galloping pace. From valuable heirlooms and antiques to loud and plastic, these items are worth tracking for a variety of consumer groups. Multiple European Cities — This week’s gallery displays how inspiration from one arena can cross over into another. Witness how architectural forms from around the world influence the newest designs in lighting, furniture, wall art and textiles. See icicle-like structures in the form of the most contemporary furniture, art the comes from the ground, crystal skylines and more! Verona — Buongiorno from Abitare il Tempo in Verona, the home of Romeo and Juliet! This week the Trendease Team has been on the go visiting the fall trade shows in Europe and Asia. Stay tuned for the must-have information from Première Vision, Expofil, Mod'Amont, Le Cuir à Paris, Indigo and more! This week Trendease is pleased to bring subscribers the hot-off-the-press trend directions for home and apparel Spring / Summer 2009. Valencia — In the last seven days Trendease has been in Verona, London, and Valencia scouting out the latest design happenings at Habitat Valencia Forward, 100% Design, Tent, Decorex, along with the events surrounding the fairs. Today’s gallery comes from Habitat Valencia Forward where the organizers created a house for the eternal diva, Marilyn Monroe, utilizing furnishings and décor from the exposition’s exhibitors. Also catch up on must-know luxury and eco-chic facts within the weekly tidbits.